These are my main patterns for Ballard rifles. 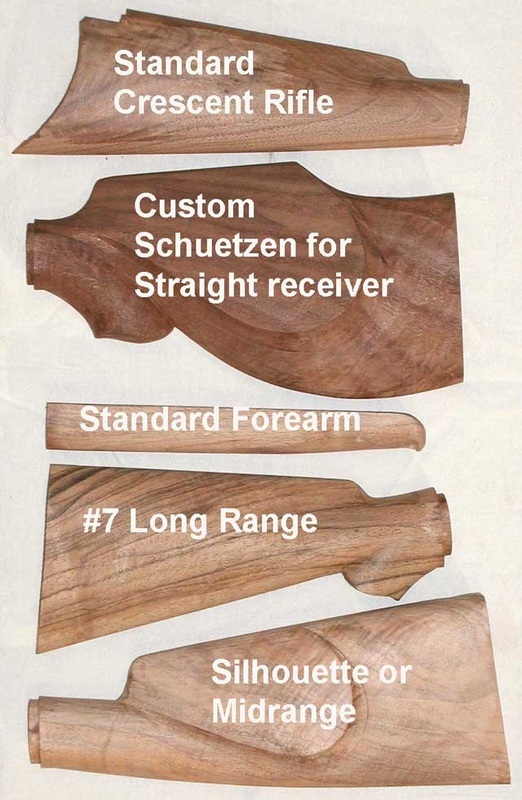 These are actual production stocks, and may be ordered in any wood you desire. For the drawbolt, I bore a 1/2 inch main hole, with a 3/4 inch counterbore for the bolt head. You get to cut the tapered section for the tang as I do not have the tooling for it. Ebony forearm tips are a popular option, 90.00 additonal.